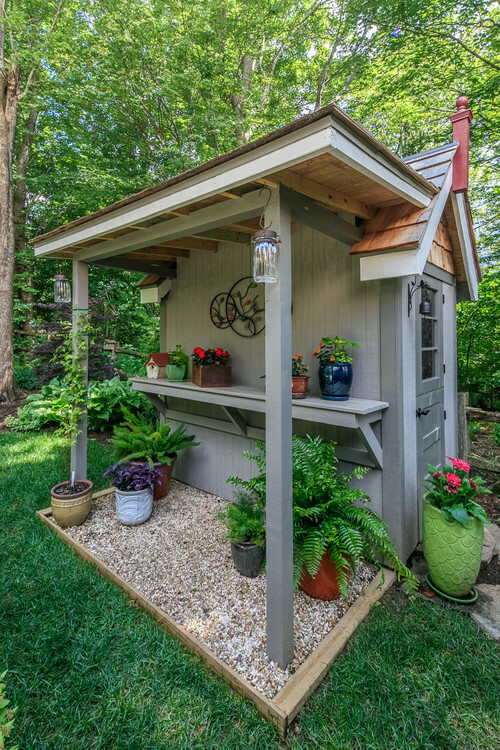 In March we talked about the components of our dream garden – a water feature, both flowers and vegetables, among other things – so it only seems right to create a wishlist for our dream garden shed. 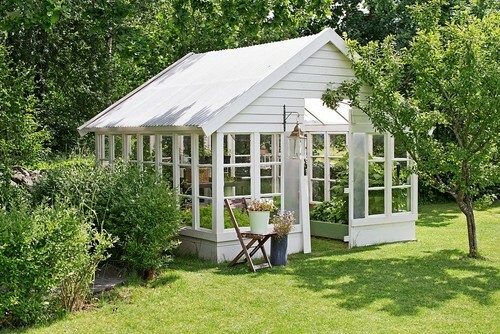 We also like the half-shed, half-greenhouse look (and function!) 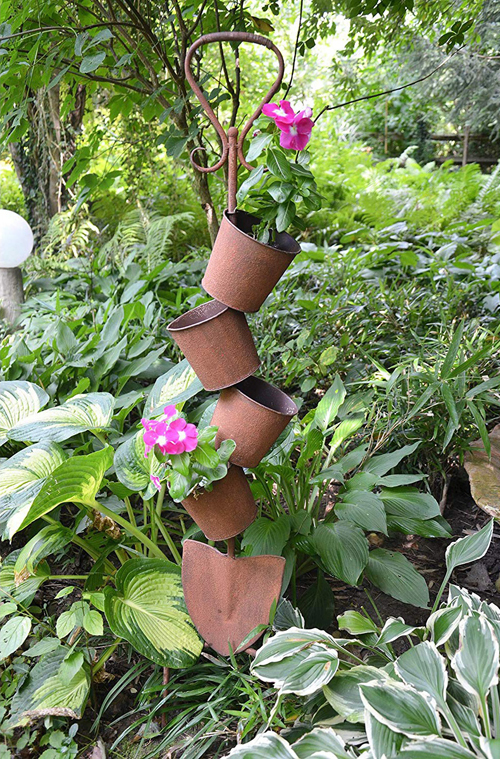 – so that’s exactly what ours would be like, with the addition of an outdoor space to prepare pots for planting. 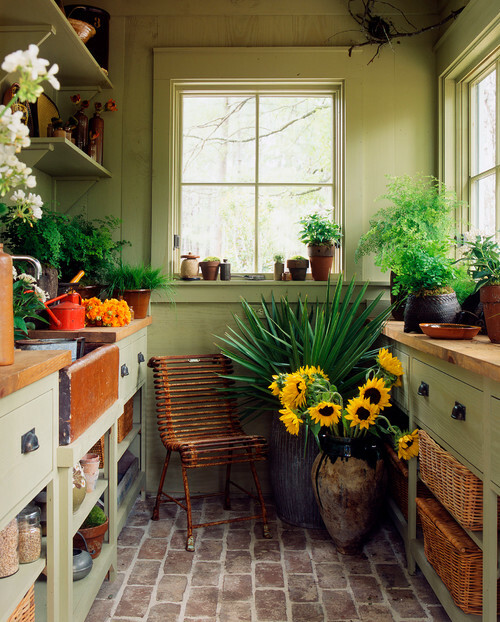 Typically cabinetry, counter tops, flooring and paint would not be priorities in our everyday garden shed. But remember, this is the shed of our dreams so those things are just as important as the garden tools and accessories. Wood is the perfect counter top material for our dream shed, and the washed out brick floor offers a complete look that is still rustic. The farmhouse sink is also a dream necessity, making it easy to fill watering cans and give potted plants a good drenching if they need it. A quick coat of green paint on the walls, shelves and drawers creates a natural yet cheerful atmosphere. 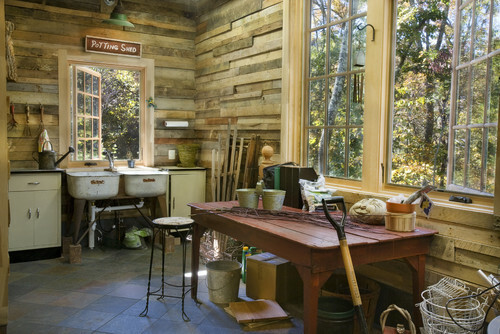 And while we do love the cozy galley style of the above shed, we’d maybe put in a larger addition to one end of our dream shed so we could have a rustic wood table for planting projects. 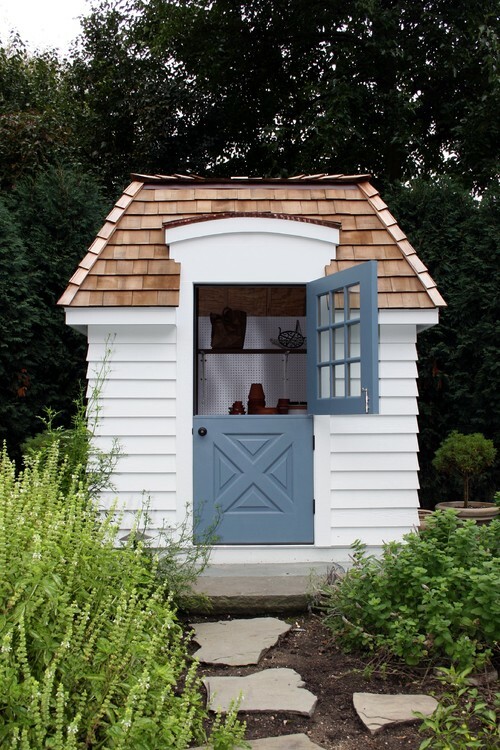 Have you ever dreamed up your perfect garden shed? 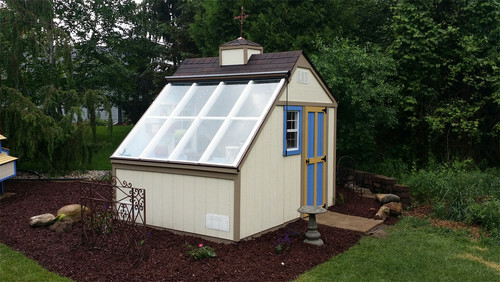 Do you already have your dream garden shed sitting in your backyard? Let us know in a comment below, and happy spring gardening! March snow made another appearance last night, which has us thinking even more about spring. For this week’s Thursday’s Theme, we’ve compiled a few photos of plants and features we would love to have in our [dream] garden. Tell us what’s on your wishlist, and share your spring gardening plans with us in a comment below. We love when a variety of colors and shapes makes a bold and cheerful statement in a garden – especially when they are mixed together. 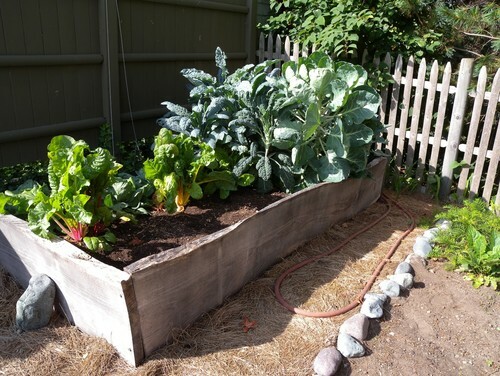 Yes, the garden of our dreams would be both a flower garden and vegetable garden. Handmade raised beds for the latter, please. 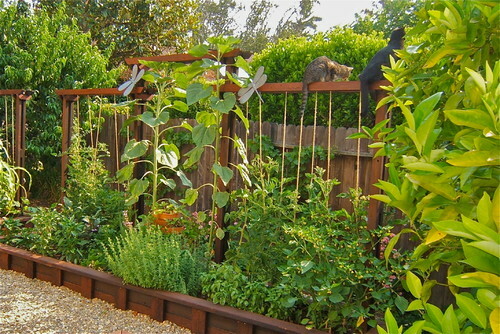 A vertical section would be perfect up against a fence, a decorative trellis or a bare exterior wall (yes, cats would definitely be the rulers of our garden). 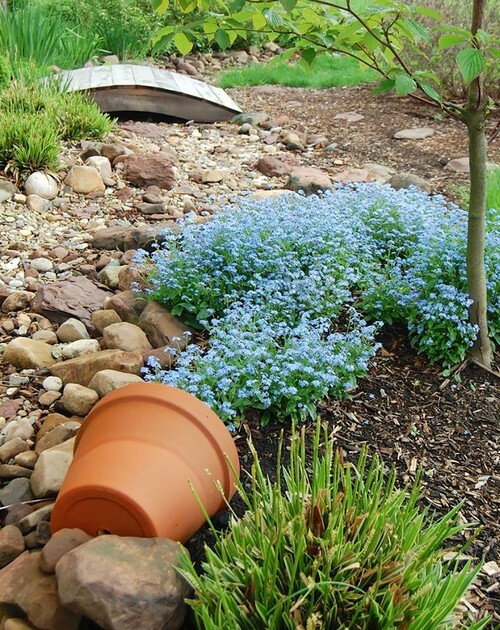 We could definitely get creative with some potted plants and displays, like this one showing a terracotta pot tipped over, “spilling” the flowers out into the mulch. Or a shovel garden stake adorned with metal garden pots. 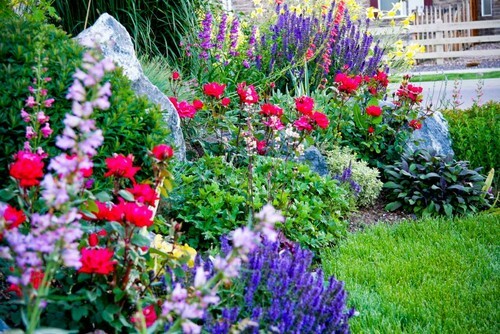 Above all else, we’d love a garden we could share with friends and loved ones. 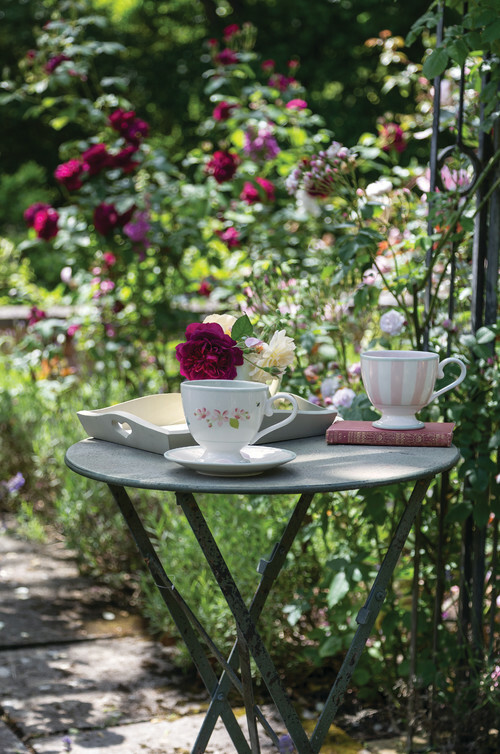 An outdoor table with enough space for coffee, tea (or a cocktail) and snacks would be the cherry on top of our dream garden sundae. 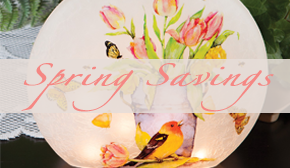 Think spring in February! While it may be too early to start plotting planting specifics, this is a great time to take stock of and organize your garden tools and accessories. 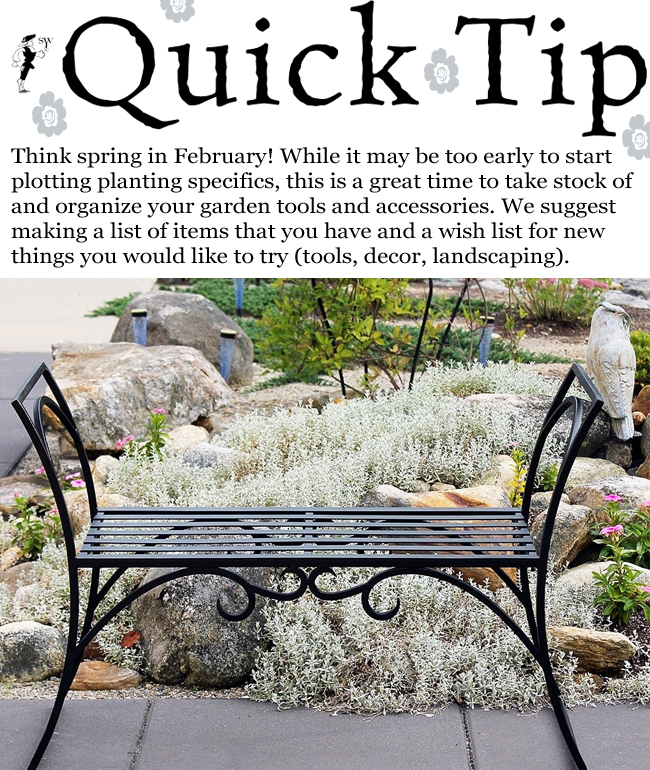 We suggest making a list of items you have and a wish list for new things you would like to try (tools, decor, landscaping), so when it’s time to plant flowers and vegetables you will be fully prepared.